Browsing Category: Magnet Displaying 1-8 of 8 Found. 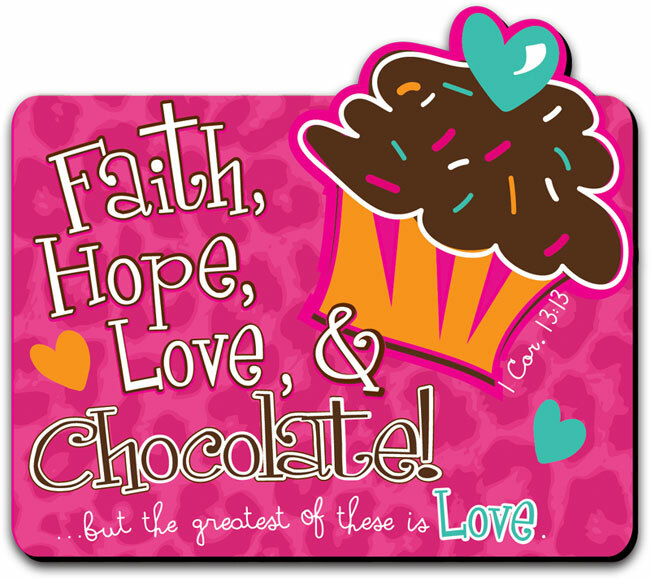 $3.99 For the Christian chocolate lover in your life, our Chocolate magnet is a cute way to show their favorite things. Based on 1 Corinthians 13:13 "Three things will last foreverfaith, hope, and loveand the greatest of these is love" this magnet reminds us that a little chocolate never hurt either. 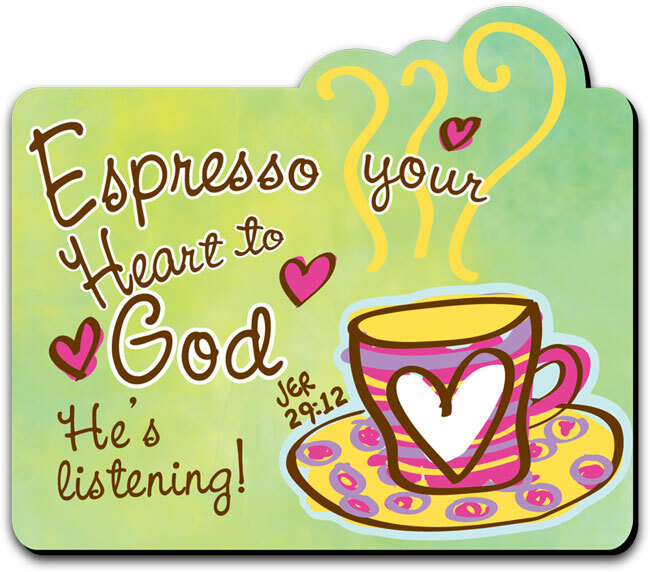 $3.99 This Espresso magnet is a clever way to show your two loves: God and coffee. Based on Jeremiah 29:12 "in those days when you pray, I will listen", this Christian magnet encourages your to express your heart to God. 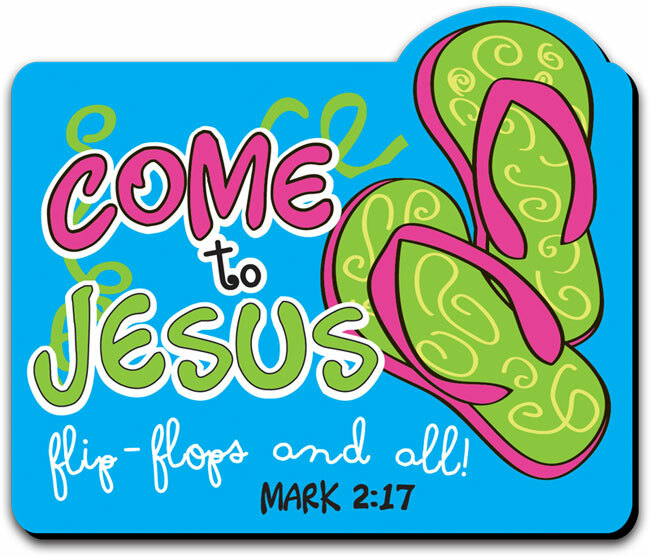 $3.99 You are reminded that you can come as you are to Jesus with our Flip Flops magnet. This uplifting and fun Christian magnet is based on Mark 2:17 "On hearing this, Jesus said to them, It is not the healthy who need a doctor, but the sick. I have not come to call the righteous, but sinners". 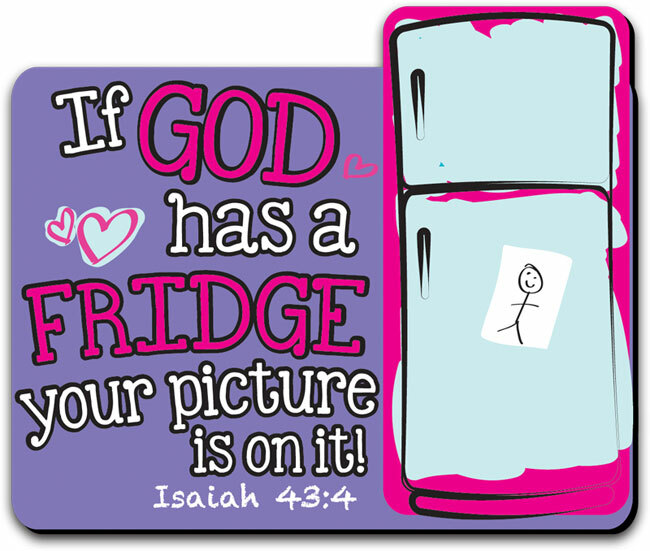 $3.99 The Fridge magnet talk about how we are precious to him as his children. This cheerful Christian magnet is based on Isaiah 43:4 "Since you are precious in My sight, Since you are honored and I love you, I will give other men in your place and other peoples in exchange for your life". 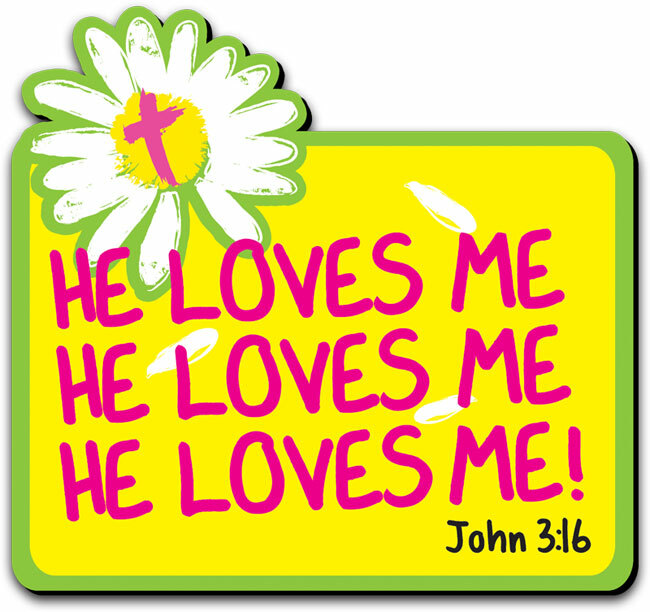 $3.99 With a white daisy and bright colors, the He Loves Me magnet is a reminder of John 3:16 "For God so loved the world, that he gave his one and only son, that whoever believes in him will not perish by have eternal life". 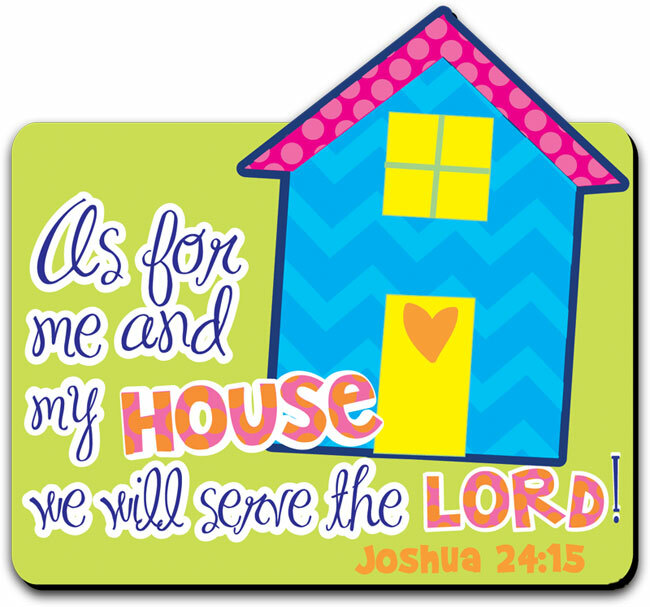 $3.99 The Me And My House magnet is a reminder that no matter what the world is doing as Christians we follow the Lord. This magnet was created to be a daily encouragement from Joshua 24:15 "then choose for yourselves this day whom you will serve...but as for me and my household, we will serve the Lord. $3.99 For a daily reminder to give thanks, check out our Praise The Lord Christian magnet. 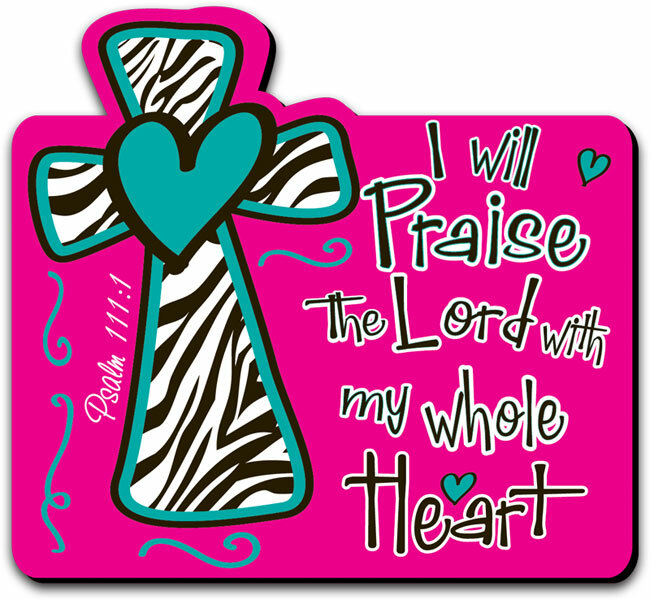 This magnet is based on Psalm 111:1 "Praise the Lord! I will give thanks to the Lord with my whole heart, in the company of the upright, in the congregation". 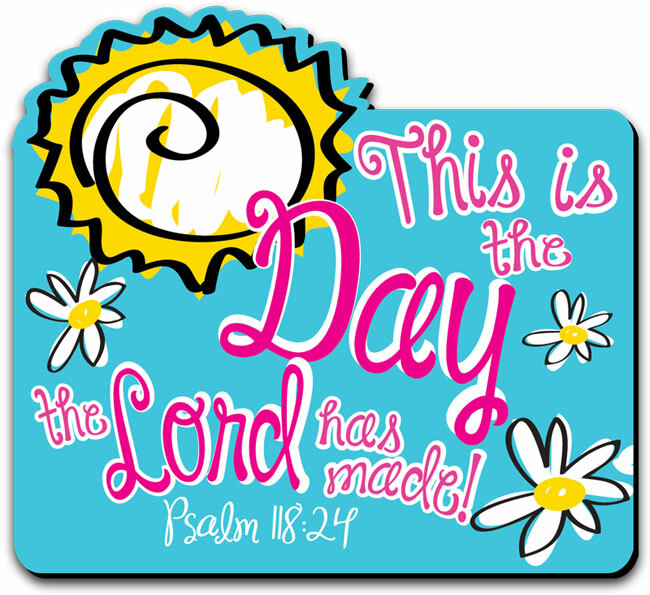 $3.99 Our This Is The Day Christian magnet is a great daily reminder to rejoice and be glad. Psalm 118:24 says it best "This is the day the Lord has made. We will rejoice and be glad in it."